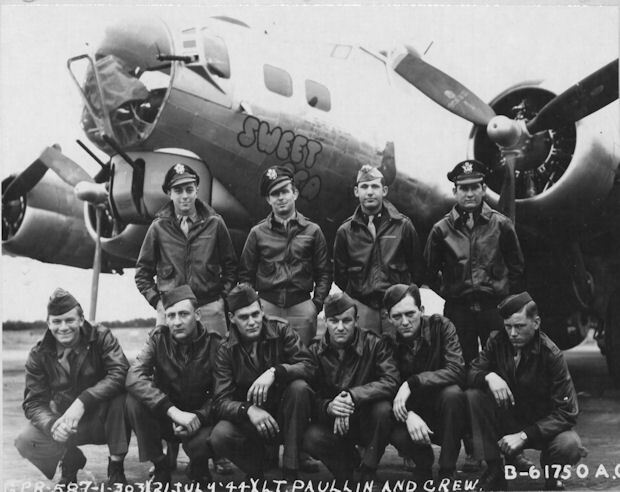 My grandfather was a B-17 pilot with the 303rd bomb group, aka the Hell's Angels. In 1944 he flew 33 combat missions over Europe. I have always wanted to build one of his planes, and earlier this summer I started talking with family about which one to do. We settled on one that he had fond memories of... a B-17G named 'Sweet Pea'. My grandfather and his crew pictured with the 'Sweet Pea'. He is the second from the right in the back row. A big part of this project is going to be researching the history of this airplane AND the history of my grandfather and his crew. Ultimately I want the finished model to depict the Sweet Pea as she looked the morning of their last mission. I'll be sharing what I learn and hope that this build can pay tribute to their bravery. AUW: TBD. Similar models are about 55lbs. I'm hoping for closer to 40lbs. This one will take quite a while to finish but I'm SO excited to finally be starting this one. That's so cool doing such a big build. It makes it all more special with the history behind the build. I assume this would be a glass over foam and not wood that scale? Can something that big even be total balsa? There will be a bit of everything in this one. Foam, Balsa, and Composite. One big consideration on this one is that I don't want to have to cover it up in the sun the way I do with the P-40. Glass over foam has that issue, so anywhere foam is used there will likely be balsa and THEN glass on top. Awesome Joshua! You got great footage. So... Up first will be the main gear. After fighting with the main gear on the P-40 for FAR too long I want to get the gear figured out before I get too far into the build. No working gear, no airplane. Wingspan models has a B-17 kit at this same scale and they sell pre-fabricated gear for just under $1000. Robart could also build the gear (they can build anything) but the cost would likely be about the same or more. The problem with both of these options, aside from the HUGE cost, is that WHEN things break I would need to rely on the manufacturer for parts/labor and I'd be grounded in the meantime. Twice I've hauled the P-40 to an event only to be grounded by faulty gear, and hauling the B-17 will be just as much of a chore. I want to be able to service the gear in the field with readily available spares so that doesn't happen any more. With that in mind the plan is to fabricate my own gear with off the shelf parts. I'll use Robostruts from Robart as the base and then modify them to work in a scale manner. The wheels will be 6". I like the weight of the Dave Brown foam wheels but another lesson from the P-40 was that they develop flat spots when you set the model on them for extended periods of time. I'll be using pneumatic tires on this model for sure. I'll also be looking to get the hubs as scale as possible, perhaps printing scale hubs or sourcing something accurate enough. 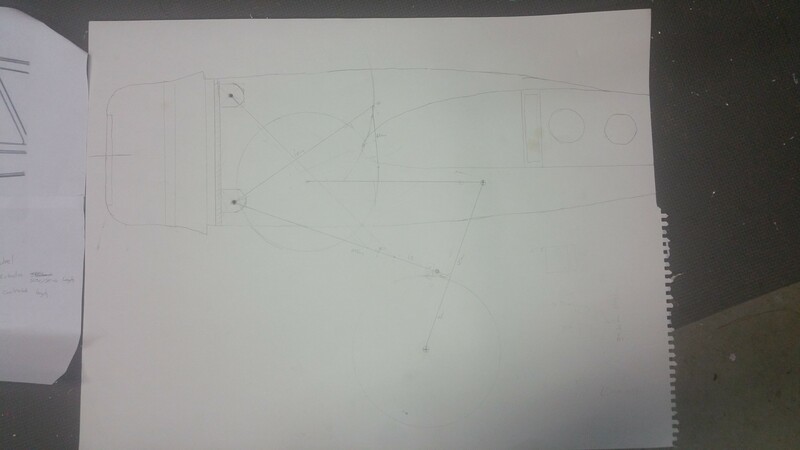 I also plan to fabricate some scale details like the brake cylinders and valves. The linkage arms may not work out to be 100% scale but I think I can get them close enough that most people wont notice. If you need a hand with research or prototyping or ideas please shout out - would love to help out with this! I am so excited to follow this! AWESOME! Sweet project! Watching with interest. After our flight and up-close examination of the actual gear, we both agreed that the mains are fairly straight forward and keeping simplicity in their construction is the idea. It focuses on the strength and reliability and especially the serviceability that Carl mentioned above. The weight is constantly a consideration of a project this size and I think Carl's approach to the entire gear setup focuses on the worst-case scenario. Doing this is SUPER smart so that he does not have to re-visit it later and re-engineer a better solution. Nobody wants to see a model of this size and scope to have a "post-mission scale" landing taking out the ball turret and two props/motor mounts.
. Nobody wants to see a model of this size and scope to have a "post-mission scale" landing taking out the ball turret and two props/motor mounts. Absolutely. We chatted about the props too... a wheels up landing taking out 4 scale 3-blade props would hurt too. Glad to have everyone along and I'm open to any and all suggestions! Oh, and I'll take you up on your offer Rockyboy. We'll figure something out. Still a long way off but I'm seriously going to throw at least one riveting "party" where I provide food and beverage in exchange for helping with the rivets and panel details. Still a long way off but I'm seriously going to throw at least one riveting "party" where I provide food and beverage in exchange for helping with the rivets and panel details. I love the big stuff, should be a great project! I will definitely be watch this one. OK... So right off the bat I'm going to be deviating a bit from 100% scale in the interest of functionality. Attached are images of the B-17 main gear. 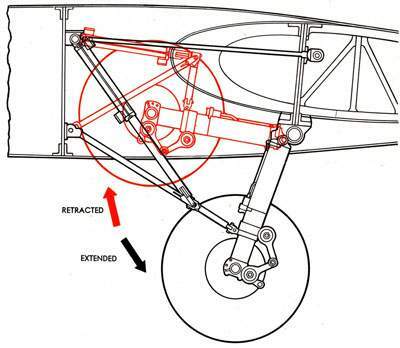 Notice where the linkage arms connect to the strut. 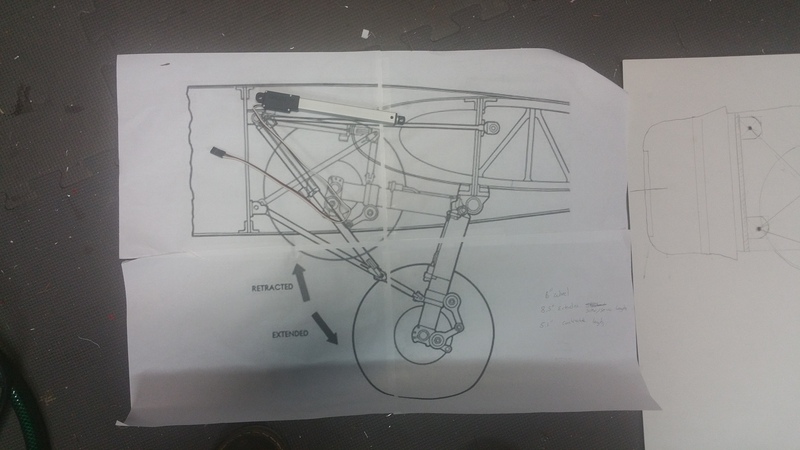 It is BELOW the trailing link arms. Also notice how little travel the oleos have (granted they are compressed as she is on the ground). I want to use standard, off the shelf Robostruts so I won't be working with any custom ($$$) hardware. Modifying them to put the attachment point below the links defeats the "off the shelf" requirement. So I will have to modify the attachment point. Also pictured is the full scale LG diagram printed to the appropriate scale, and pictured with it is the actuator I want to use. Actually it is a linear servo from Servo City (https://www.servocity.com/100-mm-stroke-17-lb-thrust-light-duty-linear-servo). It is very similar to a linear actuator but out of the box it allows me to set endpoints from my radio, which will help fine tune the gear. The only problem... the compressed length of the servo is slightly LARGER than the scale compressed length of the real thing. So I'll have to modify that portion as well. Throwing out the option using the real geometry I played around and came up with a new geometry that SHOULD work. Unfortunately that picture is a bit washed out. I did it old school with a pencil and compass and it barely shows up in the shot. Didn't realize that until I got to work . Oh well. Nice find on the linear actuator. I wasn't aware of being able to get those already wired for RC use at affordable prices. And that left tire looks a little unhappy in the photo... heck of a lot of pressure on a little piece of rubber and steel banding. 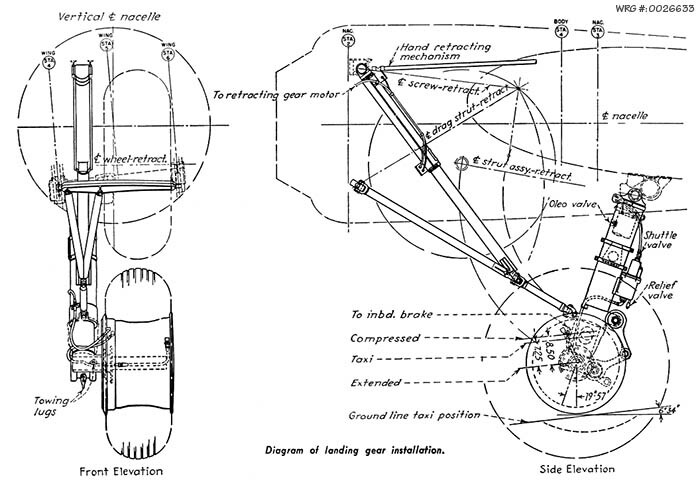 I need to take a look at the B-17 "haynes manual" I picked up but it was interesting how they did the tires and struts. If I remember right the tires didn't recommend a PSI but rather were pressurized until the axle was a predetermined height above the ground. Struts were similar I think. I do remember thinking they looked flat to my eyes too. 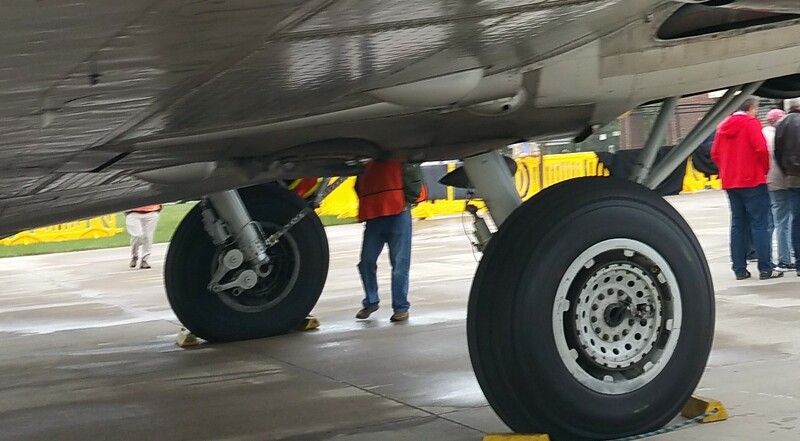 That's a pretty neat way of dealing with changing equipment load outs and not needing to have a separate pressure gauge at the air field. Sounds like a good time, where would this "party" happen to be located at?